Ask a student studying at St. Mike’s to write on the theme of City and Wilderness: Opportunities, Tensions, Responsibilities and it turns out you’ll get papers ranging from thoughts on engaging community in bee-friendly gardening through to a reflection on the fall of Satan in Milton’s Paradise Lost. Those were two of the topics presented by some of the bright lights on campus at the 2nd annual St. Michael’s College Student Colloquium. 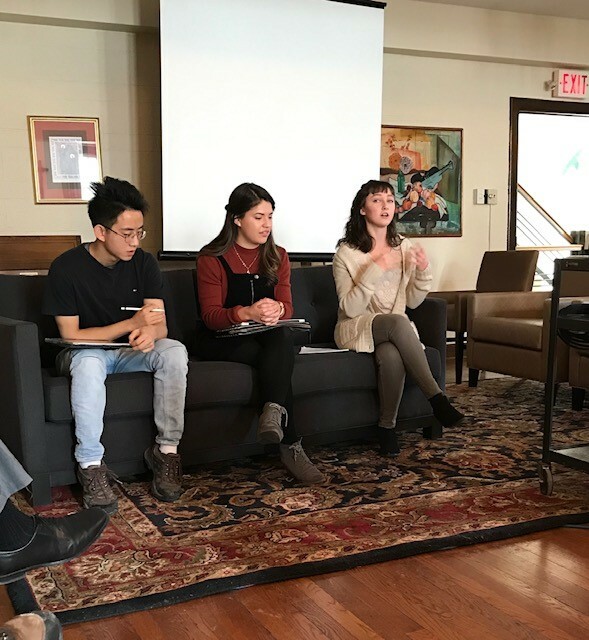 The Jan 26th event was open to St. Mike’s undergraduate students, students from the faculty of theology, and students from other colleges registered in a St. Mike’s course. Dr. Tristan Sharp, a post-doctoral fellow at the faculty who was one of the organizers of the event, explained the day was designed to offer a student-friendly bridge from the first forays into university essay writing to more sophisticated research and presentation. While presenters offered their papers from a podium, for example, their peers were seated around them on couches, creating a more comfortable setting than the standard table and chairs set-up. After each of the three panels presented their papers, professor respondents offered feedback and direction. In his welcome to attendees, university president Dr. David Sylvester observed that the colloquium was the start of a “really good weekend for student research and research in general at St. Mike’s,” noting that the Mediaeval Studies Undergraduate Conference was also getting under way later that day. 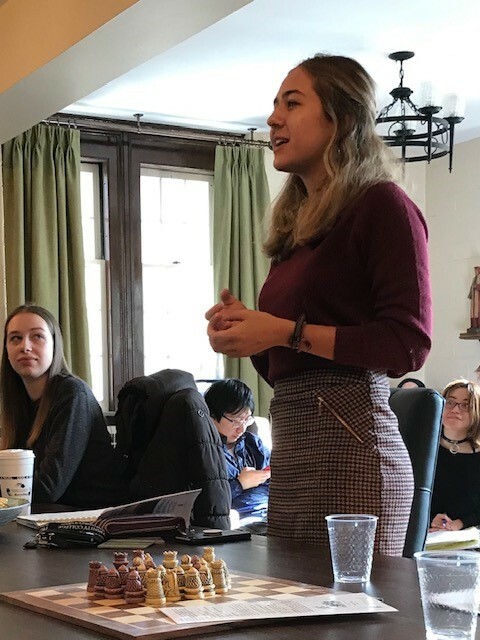 For Maryrose Doucette, a 2nd-year Christianity and Culture/Mediaeval Studies major who also participated in last year’s conference, this year’s experience was quite different because she had a clear understanding of what to expect. 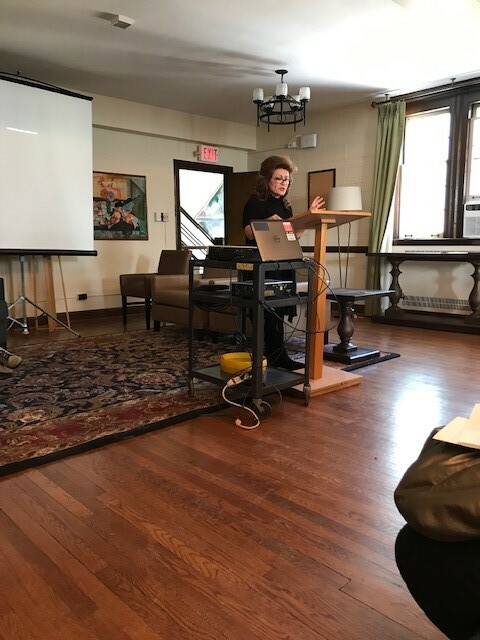 “I felt far less pressure because I had a better idea of what is meant by an academic defence,” said Maryrose, who presented a paper titled “The Benedict Option: Tensions Between the City and the Wilderness in Modern Christian Life”. Participant Ana Karen Garza said she was encouraged to submit an abstract for consideration after listening to Maryrose describe last year’s event, and agreed with her friend that the experience was positive and productive. “It was exciting to put myself out there, sharing my research in front of professors,” she said. With a background in the performing arts, the thought of presenting a paper was not daunting for Master of Divinity student Josefine Leventhal-Noble, who said that when she saw the call for papers, “I knew in my heart I needed to do this.” She then raced to meet a deadline just two days after she learned of the colloquium to submit a 200-word abstract explaining her topic for consideration by the organizers. Working with eco-theologian Dr. Dennis O’Hara as a sounding board, she began to realize, for example, that the term stewardship, which appeared in her paper, means different things to different people, and she became even more conscious about cultural sensitivity as she wrote about a culture not her own. She also had to learn to boil down all her presentation to ensure it hit the 15-minute mark required of all presenters, working to be as concise as possible.